Investing your time and attention to producing a quality business plan is one of the most valuable activities any business owner can undertake. DLM Marketing can help you create a well-structured business plan designed to give your business direction and help you become a success. A professional business is a plan that provides strategy and direction for your business’s future and is essential when trying to attracting finance for your business. So why is a professional business plan so vital for securing finance? The reason a Business plan is a key element when you are pursuing finance for your business is you need to supply documentation of how you plan to use the funds you are seeking to secure from a lender. So a business plan is a vital document to help you assure lenders and investors that you should be taken seriously. Whether you are new to business or you have been operating for years, lenders and investors will only risk their time and money if they are convinced your business will be successful and profitable. A marketing plan is also a vital document to support you when attempting to secure funds. A comprehensive, structured business strategy is one of the most valuable assets for your business. A Business Plan is designed to give your business direction and helps you define your businesses objectives. A Business Plan also plans out tasks and multiple strategies designed to achieve your goals. 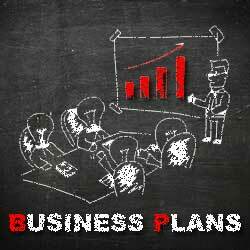 Business Plans are also there to help you identify and manage possible obstacles in your road to success. The planning process helps you learn about the different forces and factors that may affect your success. If you’re already in business, it helps you to step back and look at what’s working and what you can improve on. Instead of worrying about the future, a business plan helps to give you a sense of control over your business and your livelihood. A business plan is not a document you create once and store in your bottom drawer. It’s a living guide that you should develop as your business grows and changes. Successful businesses review and update their business plan when circumstances change. If you would like to create a new business plan or review and update an old one please don’t hesitate to contact us a DLM Marketing for more information or to book a consultation where we can discuss how we can help you turn your dreams into reality.